When booking vacations to the Caribbean, many clients ask me, “When is it rainy season”. 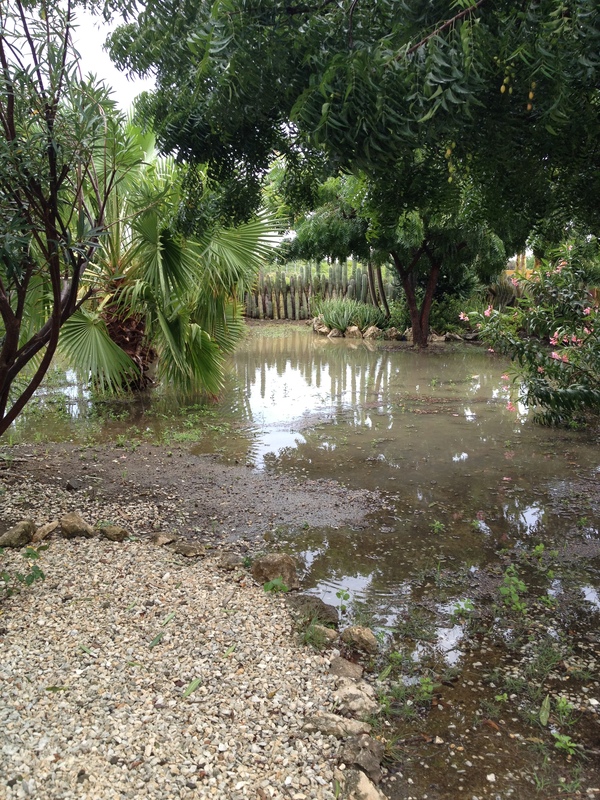 Unlike the Eastern Caribbean, Bonaire has a very low average rainfall, about 16 inches a year. Most of our rain falls in the Oct.- Feb. timeframe. Some years I can recall hardly any rain and others, a lot. 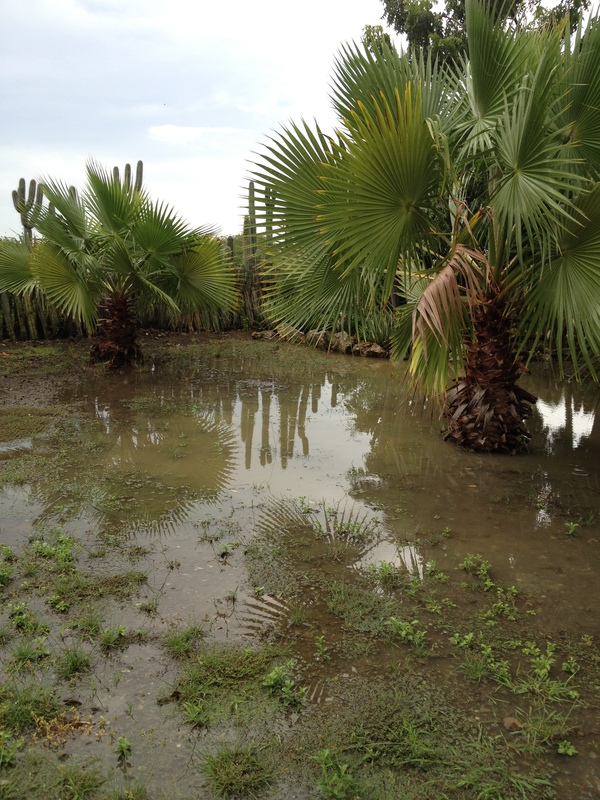 For about 6 weeks we have had tremendous rainfall which is great for the plants and the critters on island. This week, it was quite something. Enjoy a few photos of my yard. The ground is so saturated, I am growing mushrooms, something I have never seen. I am pretty much a weather junkie so pop a question anytime about the weather. Remember, Bonaire is outside the hurricane belt and is pretty much a dry island so if you see a rain free vacation in the Caribbean, look no more. Just be forewarned it can be rainy during the fall to early winter months. This entry was posted on November 27, 2011 at 1:30 pm and is filed under Activities. You can follow any responses to this entry through the RSS 2.0 feed. You can leave a response, or trackback from your own site.